With million dollar views and a luxury aesthetic to match, Marina Mirage enjoys an unrivalled status as Queensland’s ultimate waterfront retail and lifestyle destination. This iconic Main Beach precinct is synonymous with the relaxed yet sophisticated ambience of its idyllic location on Seaworld Drive, directly opposite the five-star Sheraton Mirage Resort and Spa and adjacent to the Palazzo Versace Hotel. Cooled by sea breezes, Marina Mirage tops the itinerary for international and domestic tourists with its high-end offering of fashion and accessories, beautiful gifts and homewares, and couture jewellery. 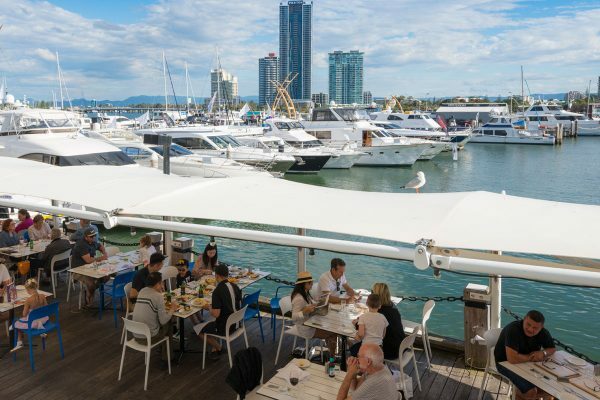 This exclusive two-level precinct also attracts a regular clientele of stylish local customers drawn to a convenient range of services and sublime dining at an array of award-winning restaurants and cafes overlooking the sparkling Marina. Marina Mirage hosts renowned restaurants such as Glass Dining and Lounge Bar, Fellini Ristorante e bar, and N3 Tapas Bar, while premium retailers and services completing the mix, including Calvin Klein, Carla Zampatti, and French Connection, as well as Australia Post. 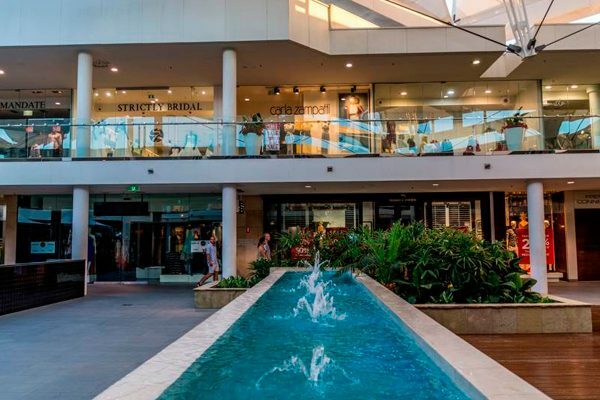 The centre underwent a dramatic $40 million redevelopment In 2009, revealing a brand new look and even greater selection of designer stores and restaurants, and presenting an invigorated prospect for both customers and tenants. 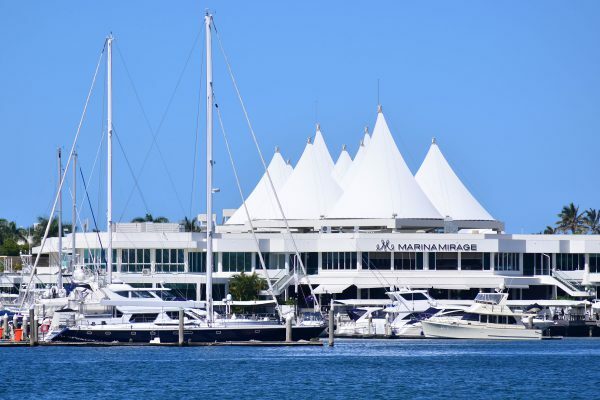 Purchased by Makris Group in 2013, Marina Mirage extends over approximately 12,211.35sq m, comprising around 100 stores including designer boutiques, lifestyle stores, restaurants, cafes and the Marina Mirage Marina, an 87-berth floating marina with 657 car park spaces.